LAKEWOOD, Colo. — Fourteen- year-old Dakota Kisling of Lakewood knew she wanted to pursue modeling after her mother purchased a life-changing Groupon. A young girl with leukemia walked the runway Tuesday night in Colorado Springs. The local non profit organization Just Be Colorado is working to empower those with cancer, by improving their self-esteem. "Dakota's just been a warrior, I learn something new from her everyday," said Donna Kisling. She said her daughter Dakota has given her a new perspective on life. Dakota was diagnosed with leukemia in April. "Obviously as a parent you feel a lot of guilt, you wonder why it's happening and when you see your child go through pain you want to take it for them and you're just absolutely helpless," said Donna. But both Donna and Dakota have chosen to focus on the positives. "Keep a positive outlook on things because it could always be worse, I mean obviously cancer is not a good thing but it could always be worse," said Dakota. Dakota is a ballroom dancer and has always had an interest in modeling. Tuesday night, she modeled in the Just Be Angels Benefit fashion show. "We just really want to make a difference especially in this community and hopefully in the world so we just want this organization to just keep growing and we do have a lot of faith in it," said Andrel Huliganga, one of the people who started Just Be. Just Be is a non profit started by a group of people who want to help those going through cancer. "We didn't know any children that had cancer and so to put a face to cancer and help them feel better, look better, have the confidence empower them is just huge!" said Donna. "I really love modeling and I'm excited to have this maybe be an opportunity to lead into bigger and better things modeling wise but also just to support this cause is amazing," said Dakota. Proceeds go to the organization Look Good, Feel Better that gives wigs and eyebrows to women going through chemo. 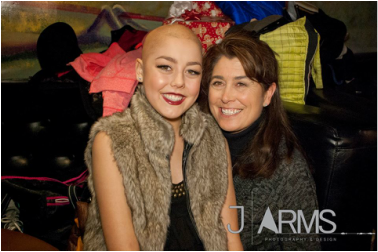 COLORADO SPRINGS, Colo. (CBS4) – Since her diagnosis in April, Dakota Kisling, 14, never imagined she would have the opportunity to model in a fashion show. A charitable organization helped the Lakewood teen walk her first runway on Tuesday in Colorado Springs. JustBe Colorado is a nonprofit that benefits young girls and women who are currently in treatment for or survivors of cancer. The organization held their first charity fashion show — JustBe Angels Benefit Fashion Show — this month to raise funds for people affected with the disease. One of the event’s co-founders, Andrel Huliganga, was inspired by the Victoria’s Secret Fashion Show. In past years he has hosted watch parties for the show, but this year he chose to give back to a cause. “It’s a good organization that will help save a life,” Huliganga said. Participants in the show, like volunteer model Camille Critchlow, says she’s humbled to be part of an event that wants to promote greater good to the community. “The more we put cancer awareness out there, the more people will pay attention,” Critchlow said. 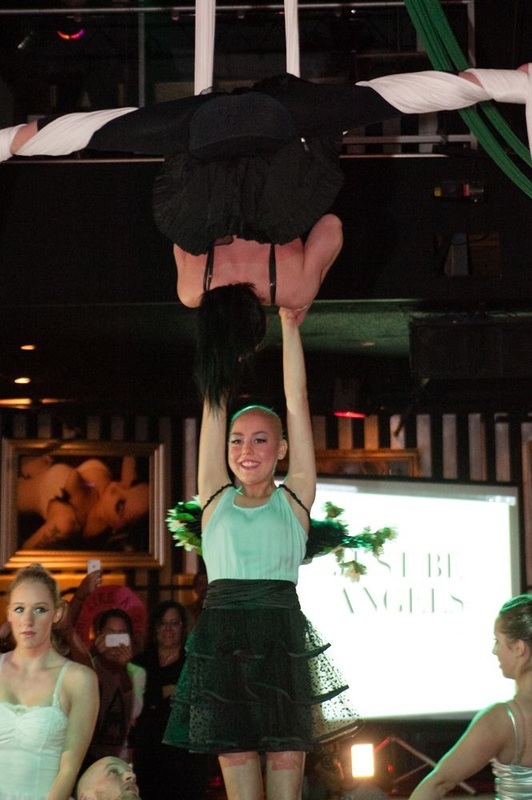 Like the models in the Victoria’s Secret runway show, Kisling walked as an honorary angel in JustBe Colorado’s event. Dakota was diagnosed with acute lymphoblastic leukemia in April. She started her freshman year at Lakewood High School earlier this year. Her world turned upside down when her debilitating illness slowed her from her leisurely activities, like ballroom dancing and attending school events. Kim Clay, the event’s lead makeup artist, offered Dakota the chance to walk in the fashion show when they met by chance at an Ulta cosmetics store. Kisling already has one with the Make-A-Wish Foundation to Rome, but considered changing it to become a runway model. Clay told her to keep her original wish and decided to make Dakota’s wish a reality by walking in the fashion show. Kisling was featured in three segments of the show. She says the experience with Just Be Colorado was an awarding opportunity. “I’ve always wanted to be a model and it’s great that Just Be (Colorado) is letting me live out my dream,” Dakota said. Proceeds from the “Just Be Angels Benefit Fashion Show” also go towards helping Aaliyah Mitchell, 9, suffering from Ewings Sarcoma and the organization Look Good Feel Better, which improves the self-esteem and quality of life for people undergoing cancer treatment. Dakota is expected to finish her last intensive chemotherapy treatment New Year’s Day. She looks forward to her Make-A-Wish trip in May 2014. For more information about Dakota, Aaliyah and Just Be Colorado, go to JustBeColorado.org.